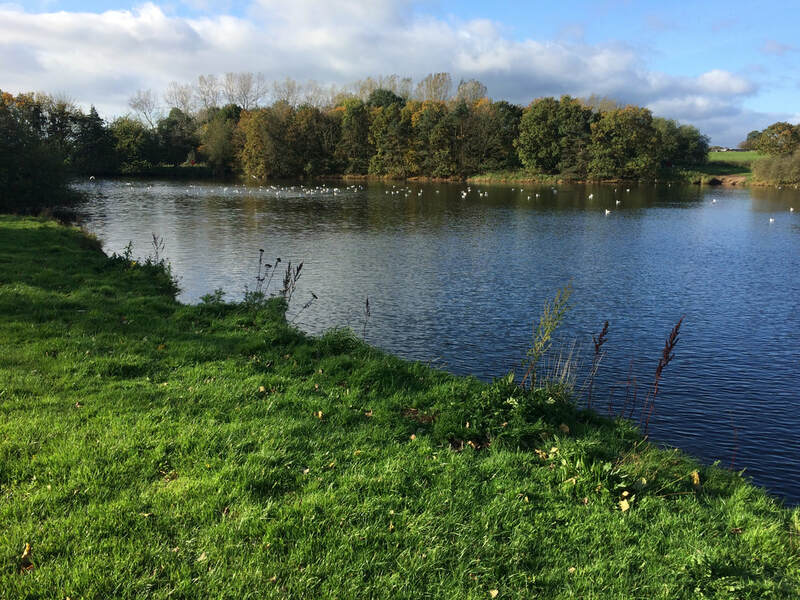 The Amblers' walk this morning was round the lake at .Nantwich. It was a lovely bright and sunny autumnal day which we enjoyed. We are getting near the end of the walking year now, so as we enjoyed coffee afterwards, the talk turned to our Christmas outing to be held at Willington Hall on Tuesday 5 December. Today, 5 of us braved the damp foggy morning and walked around part of the forest near Oulton Park. 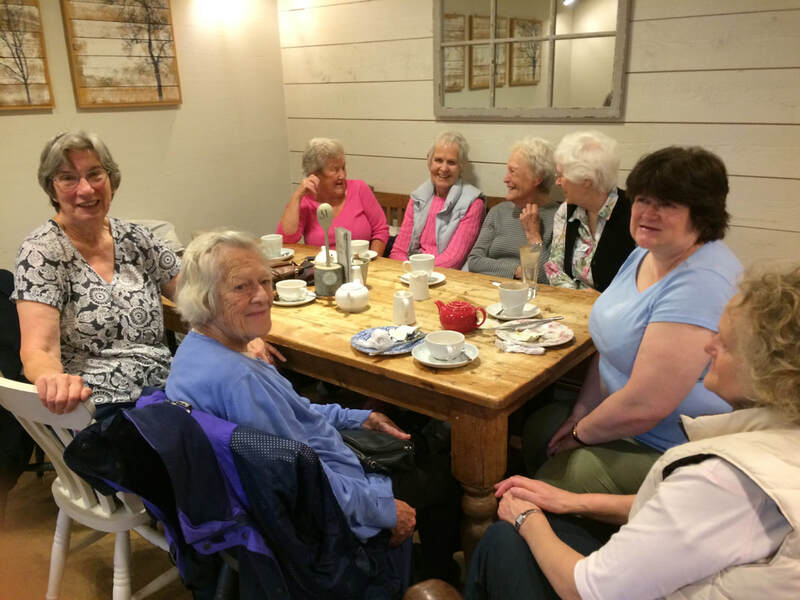 We all enjoyed ourselves in spite of the weather and enjoyed our coffee at Wyevale. Today's walk ​ was meant to be a walk in the environs of the Countess of Chester Hospital , to be led by Marian. It would have been a completely new area of exploration to most to the group, but it will have to wait until another day. 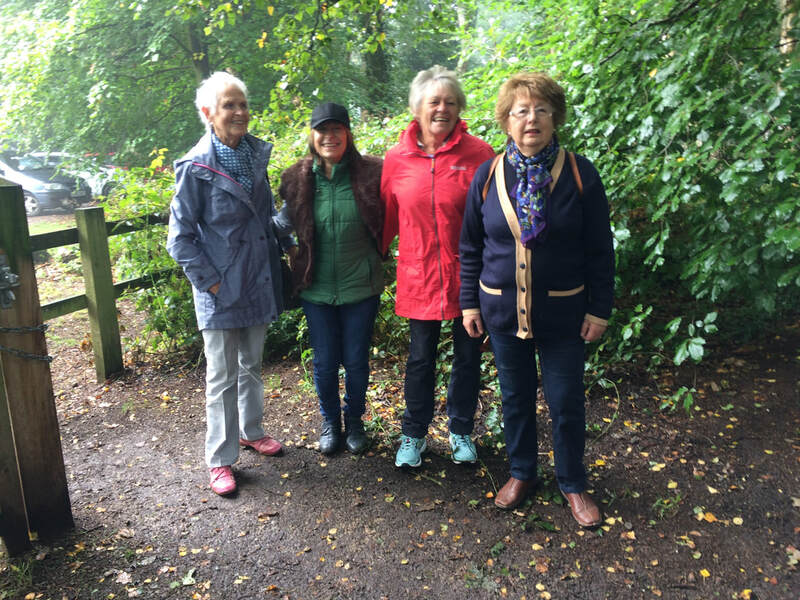 The walk was 'rained off', and it was not too much of a hardship to decamp to Okell's Garden centre , where coffee and cake were enjoyed by the group at their usual table . 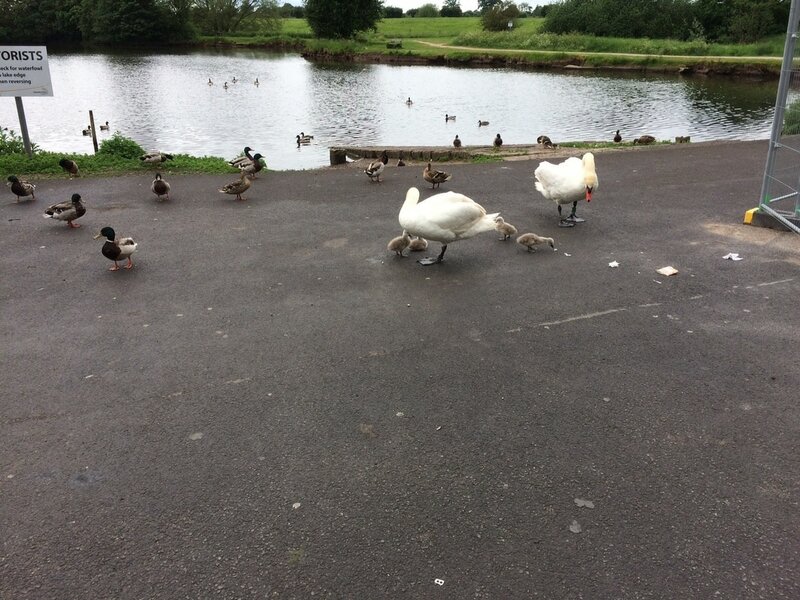 At the start of our walk yesterday the amblers were met by 2 swans and their lovely young cygnets, as the picture below shows. The weather was overcast but the rain only joined us as we arrived at Nantwich town centre after a nice walk around the lake. Ann's dog joined us and enjoyed her swim in the lake and lots and lots of ducks were waddling around. It was a walk combined with nature and enjoyed by all. The following picture shows the amblers on their walk around Nantwich. They thoroughly enjoyed their walk, which was followed by coffee in the bookshop cafe, and some retail therapy! A very successful morning.